Self-confidence, Self-acceptance, Self-love. These are the three things I need as a woman to practice consciously each day to feel whole and complete. By the Grace of God and Guru, I found Kundalini Yoga as taught by Yogi Bhajan and now have lectures, kriyas and meditations to guide me as I work through my challenges of feeling insecure and unwanted, and transmute that shame into grace. There is a deep, primal need within me to connect with other women – as mothers, sisters, friends, and soul companions on the path – to really feel that I am living my highest Truth. 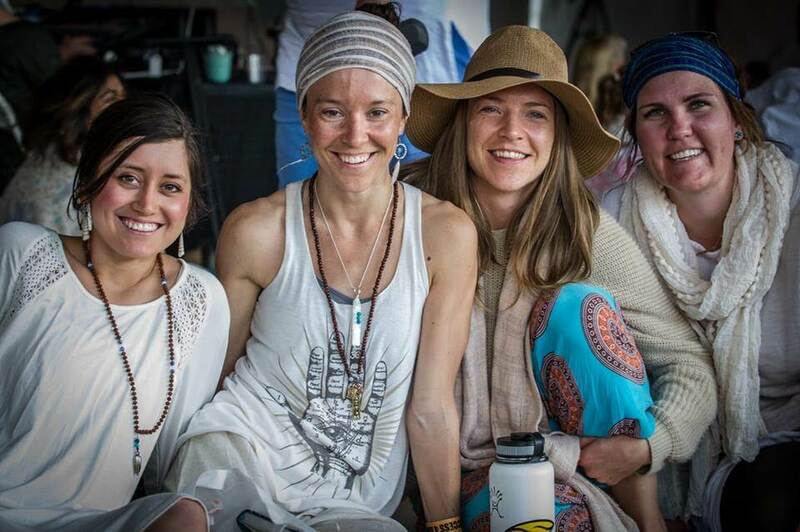 I need to feel supported and inspired by other women, and the most direct way that I have experienced this is through practicing Kundalini Yoga together. At Sat Nam Fest Berkshires we, women of all ages and backgrounds, will have a safe and sacred place to gather, practice and connect. Sat Nam Women! is a series of workshops developed to share the Kundalini Yoga teachings for women, presented by amazing teachers such as Ajeet Kaur, Hari Kirin Kaur, Ramdesh Kaur, Krishna Kaur, Kia Miller and Gurmukh. Below are the workshop descriptions, read and feel inspired to join us for this incredible event! How do you develop your spiritual life and nourish your relationships to family, partners and work? When there is a conflict, can it serve the depth of your spirituality and love? Join Hari Kirin & Ajeet Kaur as they share the wisdom gained in their spiritual lives, in marriage, family and community. This class will include a short talk, discussion and Kundalini yoga /meditation to clear past patterns, enjoy your present relationships and make the shift to face the challenges of tomorrow, true to your Soul. Sat Nam Women! The Warrior Sistah! Join Krishna Kaur and Ramdesh Kaur for a powerful and practical experience of your strength as a graceful woman. Within the depth of our hidden power lies a vital life force, a tool for change and transformation that the world needs now more than ever. We will sing, meditate, dance, and find a way withstand the challenges of our modern day lives as loving women! We have the capacity to be calm in lonely and isolated environments. However, day-to-day life is so hectic that we are often not in a position to understand our own capacity to be fulfilled within ourselves. 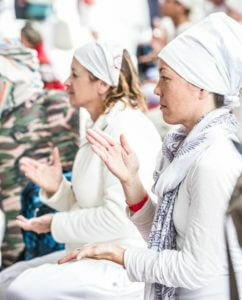 Join Gurmukh, Kia Miller & friends for a journey into the Self. Connect with the still and quiet space within yourself and learn to recognize your Higher Self as your primary relationship and the source for all other relationships. Allison is a Yogini, Reiki Master, and Lover of Life.